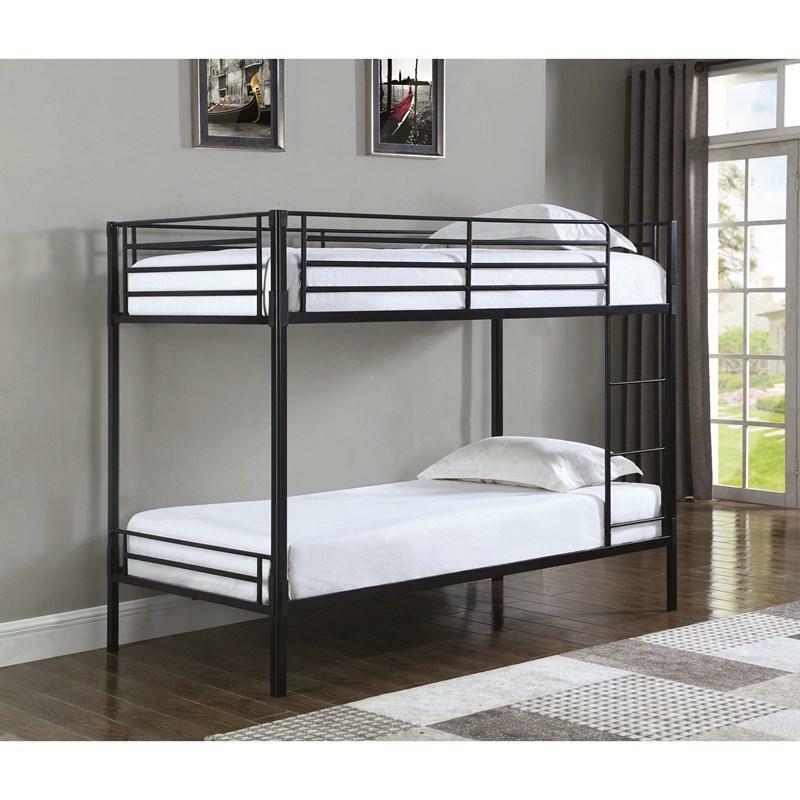 Practical design and easy assembly is the proposal of the Boltzero Twin Over Twin Bunk Bed by Coaster Furniture. This piece is made of tubing steel that comes in a black finish that will match any decor in your kid's room. Volume 5.74 cu. ft. / 0.16 cu. 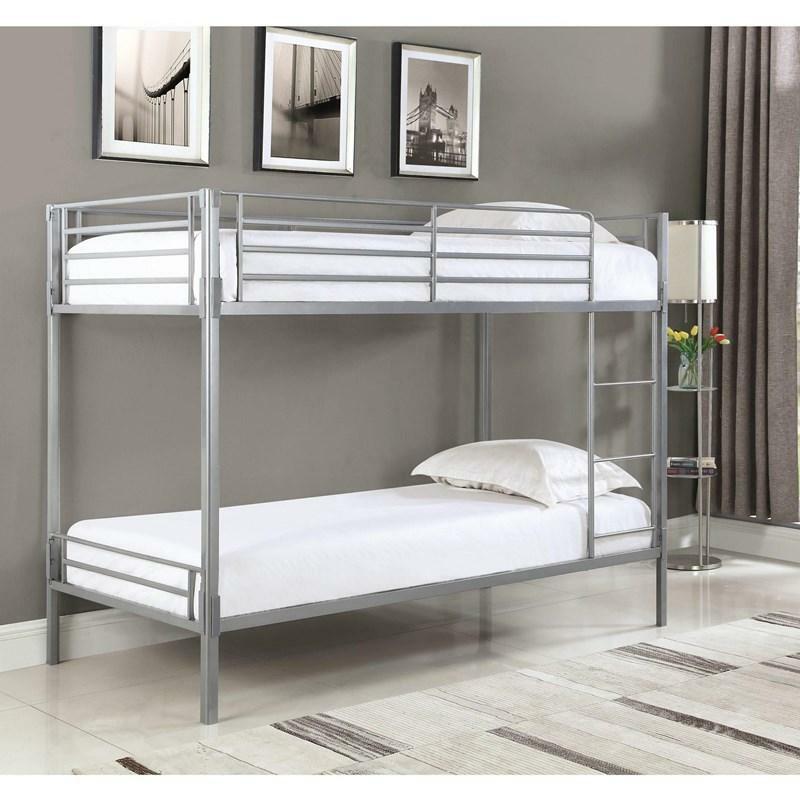 m.
Practical design and easy assembly is the proposal of the Boltzero Twin Over Twin Bunk Bed by Coaster Furniture. This piece is made of tubing steel that comes in a silver finish that will match any decor in your kid's room.